OpenMediaVault is an excellent NAS software solution. It sports a beautiful web interface to manage all of your services, hard drives, users and more. There is a great plugin system which allows you to install software for usenet, torrent and media management. 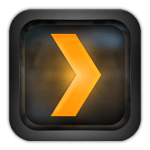 The Banana Pi has a Plex Media Server plugin and OwnCloud. This a step by step install guide and I have released an image which is as vanilla as possible: Bananian with Port Multiplier support and OpenMediaVault installed. Disable green LED on Banana Pi with Bananian because it blinks a lot and is annoying. The OpenMediaVault Extras plugins has all of the goodies like CouchPotato, SickRage, SickBeard, NZBGet, Sabnzbd, Plex Media Server and Sonarr (should be added soon) so you will likely want this awesome repository. 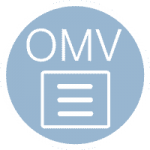 Install the openmediavault-flashmemory plugin in the web interface which will also extend the life of your sd card.